Georgia Tech returns home on Saturday afternoon for the first time in ten days for a showdown with one of the most surprising teams in the country, the Louisville Cardinals. The game tips at 4:00 pm and will be broadcast on ACCNE (Fox Sports South or watchESPN). Coming into the year many, including myself, didn't expect much from Louisville in Chris Mack's inaugural season. Now halfway through the tilt, those misgivings seem to have been misplaced. While former five star recruit V.J. King has not developed into his "potential", Louisville has been fortunate to see some of its other recruits grow up quickly and benefit from experienced grad transfers. As mentioned, Louisville is led by former Xavier head coach Chris Mack. So far the Cardinals are 12-5, rank 22nd in Kenpom and own wins over Vermont, Michigan State, Seton Hall, Lipscomb and UNC in Chapel Hill in historic fashion. Mack is well known for his successful time at Xavier where he is the all time winningest coach at 215 notches on the good side of the column. In nine seasons in Cincinnati, he led the Musketeers to eight tournament appearances and advanced to the sweet 16 or better five times, including the 2013-14 Final Four. Like his Xavier teams, Louisville will play up-tempo (top 15), they will get to the line (9th in free throws made) and they have lit up the scoreboard to the tune of 85 ppg in league play. Like so many of his Xavier teams, Mack's Louisville Cardinals feature a big, high scoring wing this year in sophomore Jordan Nwora. Nwora is averaging 18.1 points (5th in the league), 8.1 rebounds (6th in the league) and is also off a career game against Boston College in which he poured in 32 points. He has a "bull in the china shop" type game. While it isn't always pretty, so far this season it has been very effective. Other big time contributors are 6'5" swing man Dwayne Sutton and former Southern point guard Christen Cunningham. Sutton is Mr. Steady and may be the most deadly player on the roster outside of Nwora. Over his last 8 games he is averaging 12.8 points, 8 rebounds and 2.9 assists. Certainly not numbers that are going to blow you away, but when a play needs to be made, he's more than likely going to be the one that makes it. Cunningham, a grad transfer, has been one of the few players in the country who's been successful "transferring up". While players like Joe Cremo and Matt Mooney have underwhelmed in power 6 play, Cunningham has become a leader for an ACC squad and has even played better in conference play, averaging 13.3 points, 5.8 assists and 3.3 rebounds through four games. Kwhan Fore is another grad transfer who recently joined the starting lineup. The former Richmond Spider is an athletic guard who doesn't score a ton but is one of the better defenders in the ACC. He would have likely matched against Jose Alvarado in this game and instead may be assigned to give Mike Devoe fits. Former UConn big man Steven Enoch has come into his own this year after two disappointing seasons in Storrs. He is averaging 9 points and 5 boards off of the bench. Malik Williams, a former five star recruit, has also come along lately. Over the course of his career (49 games) he averaged 5 points and 3.4 rebounds, but in ACC play this season he is averaging 10.3 points and 6 rebounds. He is getting better every game. Then there is Ryan McMahon who will drill triples (37.4%) all day long if you forget about him. Darius Perry and King can also hurt you if they decide to play on any particular day. Rattling all that off I can't help but think: "Why did I predict these guys to finish 12th in the league this season?" So, as you may have gathered, they have size, shooting, scoring, defense and coaching. They just beat North Carolina worse than anyone has in Chapel Hill since 2002. The most interesting thing here is that Kenpom only favors the Cardinals by 2 while Haslametrics also favors them by a deuce. Clearly, the computers are starting to buy into the Georgia Tech defense. The one thing that Louisville doesn't do particularly well is turn people over. They rank 299th in the country in opponents turnover percentage. Unfortunately I don't think this a great match-up for the Jackets, though sometimes Pastner pulls things out at home. Louisville is going to play man-to-man, which GT struggled against at Clemson, but the Cardinels won't be as tenacious or get away with assault in McCamish. Louisville played a bit of zone against Boston College the other night and quickly went back to man. I disagree with the metrics on this one. I just don't know if we have the fire power the keep up. Tech is also a bit dinged up at the moment. If we keep it to single digits I would be really impressed. This is the kind of game that we end up winning, because it makes zero sense for that to happen. SecretAgentBuzz, YJAlleyCat, MiracleWhips and 5 others like this. lauraee, GTpdm, AE 87 and 1 other person like this. New Old Guy, ramblinjacket, CuseJacket and 1 other person like this. 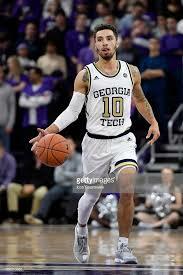 Noticed Jordan Usher on the Tech bench. Hope is isn't having second thoughts. Hopefully he's saying I can make this team a lot better. mstranahan, ramblinjacket, THWG and 1 other person like this. This is just year 3. He’s probably safe thru at least next season. Next year should be tourney or get sent sent packing IMO. Jacket4Life, RickStromFan, THWG and 1 other person like this. Peacone36, AE 87 and lauraee like this. William S. Baker, bwelbo and Peacone36 like this. Set programs back? Good lord, how much further back can we go?? HA, I thought we were starting to build some healthy momentum when we signed Davoe, but we have taken some really bad licks this year with the whiff on recruiting and just the overall play of the team. I was a big CJP fan, but that is starting to wane now. I'm not sure he is going to be able to turn this around. I really think the missing on recruits this year will be very hard for him to overcome. Gold1, MWBATL and sidewalkGTfan like this. ... slightly worse than I thought it would be... But not surprised. Jose makes a big difference for this team. Hope that groin injury heals quickly. New Old Guy, lauraee and THWG like this. 1 starter being out shouldn't make us .... that. Therein lies the problem for once we are "old". But hey, no need to pile on. We were likely going to lose so who cares if it was by 1 or by 100. Only counts 1 in the L column. AD and Alston are also out. One or the other is usually a starter, if not both. Alston has been our best outside scorer, but Haywood has been growing into that role. Anyway, we’re down 3 of our top 6 players, if not 3 of our top 5. Not that I’m justifying the last two games, but the losses are heavier than one player. We could really use someone in addition to Jose who can thrive at point. Also, missing Alston means we’re even more dependent on slashing to the basket, and therefore more predictable and easier to defend. MidtownJacket, msargent1 and lauraee like this.